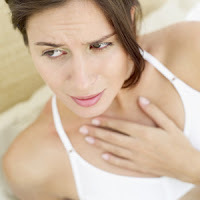 Home » vocal cord » What is Considered a Normal Number of Reflux Episodes? What is Considered a Normal Number of Reflux Episodes? Depending on whether one is talking about GERD (gastroesophageal reflux disease) or LPR (layrngopharyngeal reflux), I believe the answer is completely different. As it pertains to GERD and what literature, doctor, or testing equipment is used, 73 plus or minus some change is what is considered a normal number of reflux episodes a typical adult may experience in a 24 hour period of time. What exactly does this number mean? This number describes how many times stuff in the stomach regurgitates up into the esophagus which is the tube that carries food down to the stomach after food is swallowed. The reason why heartburn is not initially experienced is because the lining of the esophagus has a protective layer preventing acid damage. However, once the number of reflux episodes goes higher than 80, the protective layer breaks down and acid damage starts to occur leading to typical symptoms of heartburn and/or chest pain. Now what about laryngopharyngeal reflux (LPR)? LPR is when stomach contents regurgitate up to the level of the voicebox. At its most basic limited definition, LPR is a near-vomit (vomit being stomach contents that reach the mouth level and beyond). The only difference between LPR and vomit is the volume of regurgitation and location it reaches. When such regurgitation reaches the voicebox level, a number of symptoms occur, even if it happens one single time. First, when LPR occurs, the throat feels phlegmy leading the patient to throat-clear the mucus up and out or to re-swallow. Second, when enough LPR episodes occur, the mucosal lining of the voicebox region starts to get irritated that may lead to a chronic cough. At its worst, it may lead to vocal cord dysfunction and even laryngospasm. Some episodes may even be aspirated into the lungs leading to bronchitis and reactive airway disease. Third, the sphincter (upper esophageal sphincter) that separates the esophagus from the voicebox may start to tighten which is the body's way of attempting to prevent further reflux from reaching the voicebox. Such muscle tightening may lead to symptoms of difficulty swallowing with food getting stuck at the voicebox level as well as lump in throat sensation (globus). Heartburn is not very common with LPR (though it may occur) as one needs to remember that there is a protective barrier preventing acid damage to the mucosal lining. Also, non-acid reflux may be present rather than acid reflux. With non-acid reflux, heartburn symptoms are not as common due to lack of acid presence that would lead to damage (though other factors are present including bile, enzymes, etc). Given even a single episode of LPR can be considered abnormal if symptomatic, many studies will come back NORMAL due to timing. A barium swallow typically does not take more than a few minutes to perform done during business hours. Same goes for upper endoscopy. BUT... what if the few episodes of LPR occur in the evening or early morning NOT when the studies are performed? As such, what I consider the BEST study to evaluate for LPR is a 24 hour multi-channel pH and impedance testing. This test looks for reflux during a continuous 24 hour period of time. If it sees reflux, it records what time, how long it lasts for, how high does the reflux go up, what the pH level is, etc. BRAVO or single or dual-probe pH studies are inadequate as they measure ONLY whether acid GERD is occurring or not. These alternative tests can not evaluate for LPR or non-acid reflux. With GERD, up to around 73 episodes of reflux is considered normal. With LPR, even a single episode can be considered abnormal if symptomatic. Check out references below. Watch a video I made below showing a patient who is experiencing a non-acid LPR episode during an examination. This patient had a normal upper endoscopy, normal pH study, and normal barium swallow. Look at all the frothy mucus that is bubbling up to and around his voicebox leading to his complaint of phelgmy throat and chronic cough/throat-clearing. Treatment was surgery (nissen fundoplication). How much pharyngeal exposure is "normal"? Normative data for laryngopharyngeal reflux events using hypopharyngeal multichannel intraluminal impedance (HMII). J Gastrointest Surg. 2012 Jan;16(1):16-24; discussion 24-5. Epub 2011 Oct 28. Gastroesophageal and laryngopharyngeal reflux detected by 24-hour combined impedance and pH monitoring in healthy Chinese volunteers. J Dig Dis. 2011 Jun;12(3):173-80. doi: 10.1111/j.1751-2980.2011.00502.x. The importance of the number of reflux episodes in the diagnosis of laryngopharyngeal reflux disease. Otolaryngol Head Neck Surg. 2013 Feb;148(2):261-6. doi: 10.1177/0194599812466534. Epub 2012 Nov 2.